Breakfast Café: The Future of Medicine Entangled with Helpful Intestinal Worms? Numerous studies in animal models have supported the idea that “friendly intestinal worms” may help alleviate a wide range of chronic disease, including allergies, autoimmune conditions, digestive disorders, and neuropsychiatric problems. Thousands of people today are literally trying worms, but is it working and will worms ever find their way to a medicine shelf near you? Dr. William Parker has studied biochemistry and immunology at Duke University since 1993. Best known for the discovery of the function of the human vermiform appendix (a safe-house for bacteria), William has spent the last 15 years looking at fundamental cultural causes of inflammation in Western societies. His work on “biota alteration,” a concept which evolved from the “hygiene hypothesis,” has led to the discovery that intestinal worms, called helminths, are very supportive of healthy neuropsychiatric function in adults and in children. 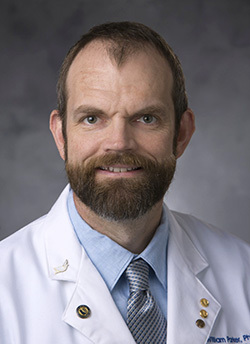 William has published more than 120 peer reviewed papers, including collaborative studies with Staci Bilbo using laboratory animal models and socio-medical studies with Janet Wilson evaluating the practices and outcomes of people self-treating with helminths.